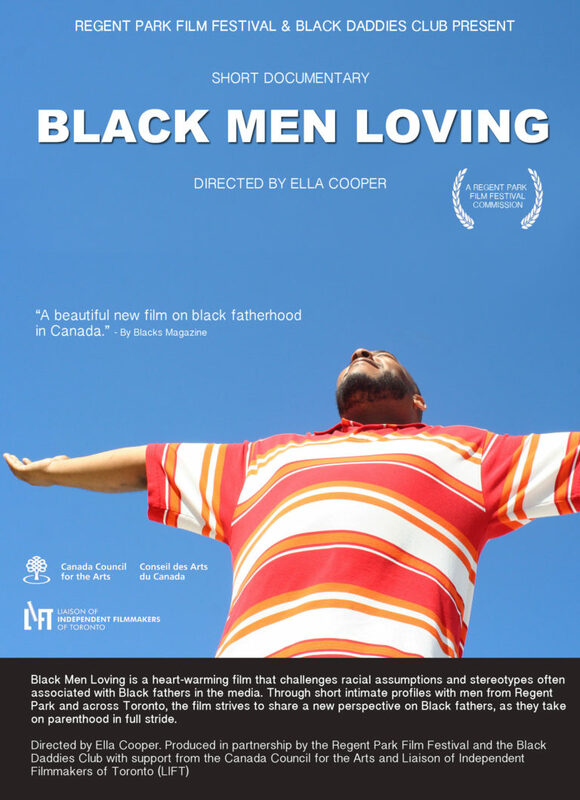 Black Men Loving is a film that challenges racial assumptions and stereotypes often associated with Black fathers in the media. Through short intimate profiles with men from Regent Park and across Toronto, the film shares a new perspective on Black fathers, as they take on parenthood in full stride. The film highlights the work of the Black Daddies Club that not only illuminates the different journeys of the fathers but also features bonding sessions and workshops that fathers partake in. This documentary upends the stereotypical images of black men as fathers to the extent that it seems, as one dad says, that “Black men loving is political” and “almost radical”. We are taken into the world of responsible parenting where we explore what being a father means to these men. The family life of these men differs amongst them and the film touches on the fathers’ parenting techniques and their experiences with their own fathers. This refreshing film is a must for anyone who celebrates love. bways, gardens and the streets of Toronto, Vancouver, and Calgary in addition to being featured on the CBC.